Welcome to Plumbbob, the first call for Gas Safe registered engineers and central heating experts in Oxford and the surrounding area. We install, maintain and repair boilers of any age, make and model and also specialise in domestic central heating systems. Our knowledge and expertise, as well as our extensive experience, has led us to become the leading Gas Safe registered engineers in Oxford, using the best possible materials and products to ensure the most reliable central heating systems, regardless of age. 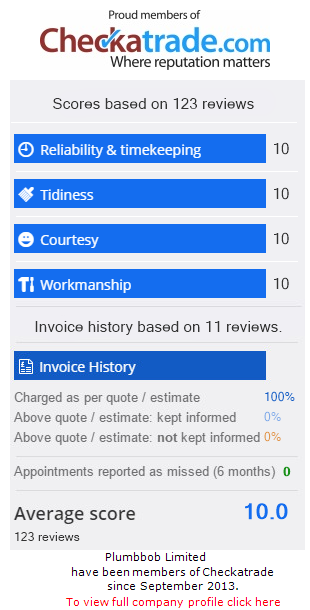 Customer satisfaction is our main priority, which means that our Gas Safe engineers take great care to ensure that we complete all work on time and within budget. In addition, our public liability insurance guarantees your peace of mind and confidence in our work. For Plumbing and Heating services Oxford, including Eynsham, Abingdon and Wheatley, contact us. Whether you need advice about your heating system or need a Gas Safe registered engineer in Oxford to repair your boiler or install a new one, please don’t hesitate to call us or contact us online.